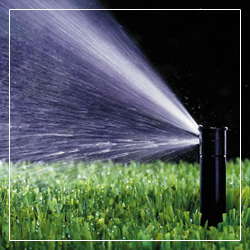 Whether it's one sprinkler head that's broken or an entire system that just won't come on, we are experienced in restoring your system to full working order. Sprinklers that are getting your house or sidewalk too wet will be corrected. It may even be possible to add just one more sprinkler head to cover that "hot spot" where your grass is always drying out. Call us at (772) 589-4115 so we can schedule you for a professional repair. It is important to maintain your system at least once a year for optimal use. We have designed a maintenance plan that is convenient and reasonable for you. This plan includes spring and winter maintenance, adjustments, and repairs if necessary. With proper maintenance your sprinkler system will put water where it's needed, when it's needed. At Accurate Irrigation, our goal is for your lawn to be the best looking lawn in Vero Beach and Sebastian FL. This starts with your irrigation system. In order to achieve a healthy lawn, we will get your sprinkler system functioning at its maximum efficiency at an affordable price. With drought conditions in Florida, even a few days of your lawn in drought can cause damage that takes months for turf to recover from, so timeliness is crucial. We will always provide you with a FREE same day irrigation analysis. For your convenience. 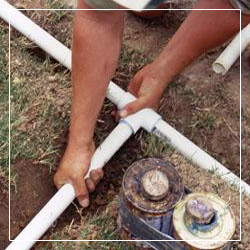 Our professionally installed irrigation system adds value to your Vero Beach and Sebastian properties and ensures that each type of landscaping receives full irrigation coverage at the proper rates. In the long run, this saves water and provides a healthy & beautiful landscape for your property. 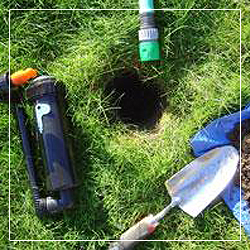 Call Accurate Irrigation today for more information on how we can help you.